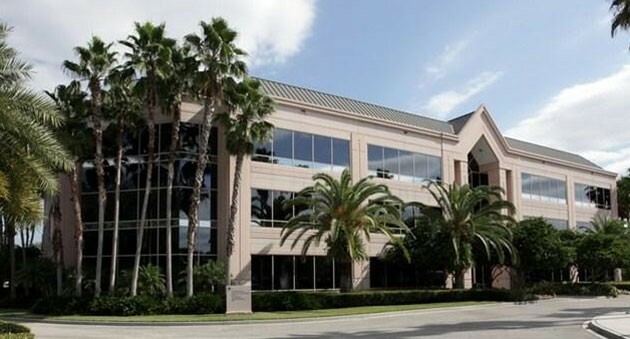 TerraCap Management LLC has retained commercial real estate brokerage firm CBRE Group to lease a four-building, Class A office complex in Sarasota County. CBRE Senior Associate Kelley Matheson takes over leasing for the Gateway Professional Center with occupancy at roughly 83%. Major tenants include homebuilders Taylor Morrison and London Bay Homes, tax preparer Jackson Hewitt and wealth manager Global Financial Private Capital. A Colliers International South Florida office had been in charge of leasing Gateway Professional Center, at 301-551 N. Cattlemen Road, since 2014, and a predecessor firm, the Pointe Group, has handled negotiations with tenants before then. Colliers will continue to manage the 248,270-square-foot property, despite the change in leasing agents. Though CBRE is new to the property, Matheson is not: Prior to joining CBRE, she worked at Pointe Group. “Right now we’re all about getting in front of businesses and prospective tenants and making them aware that Gateway is the premier office property in the Sarasota market,” she says. Bonita Springs-based TerraCap acquired Gateway Professional Center in May 2015 for $37.1 million, from Boston investor TA Associates Realty. TA had purchased the property in July 2006 for $55 million. The four-building project was developed by Sarasota investor John Meshad, on 35 acres at the intersection of Cattlemen and Fruitville roads, near an Interstate75 interchange, beginning in 1999. Gateway Professional Center is one of two major office assets TerraCap owns in Sarasota, together with the 10-story Kane Plaza building downtown.